Rome, Italy’s Colosseum at night. 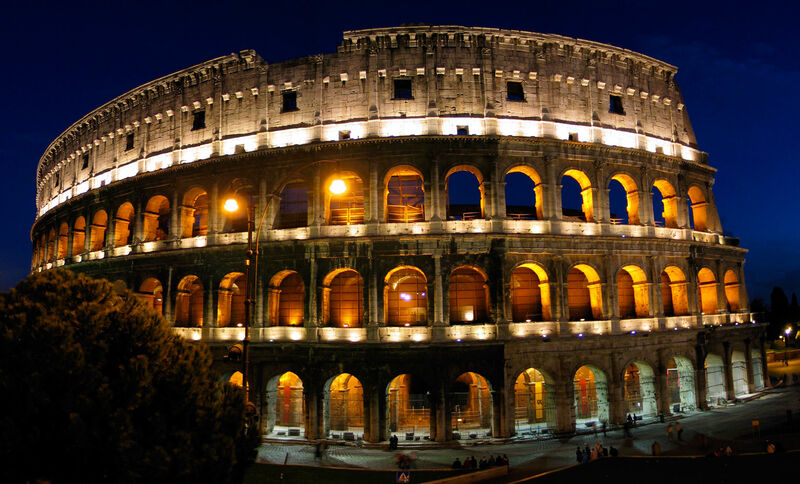 Built by Vespasian and dedicated in 80 AD, the Colosseum has been a symbol of Rome for 2 000 years. Gladiators fought animals and themselves, sometimes to the death, for over 300 years in this arena.